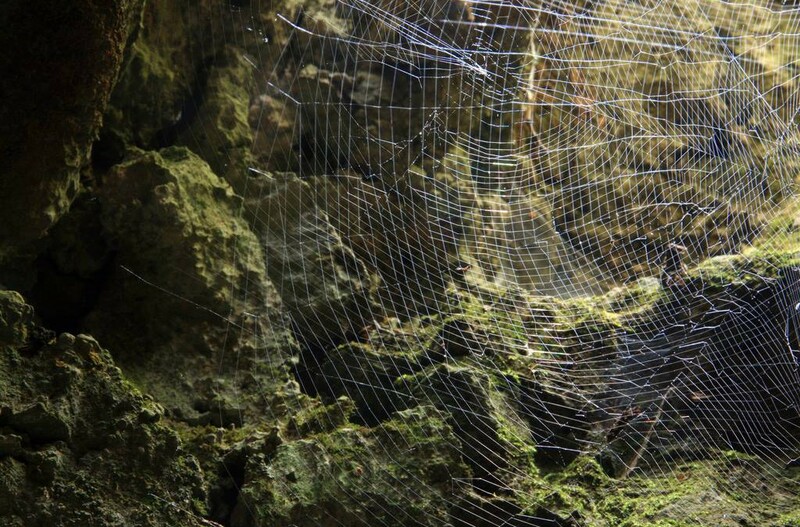 Faith story: Spider web protecting crying solder! A young soldier found himself in a terrible and hopeless battle. The enemy was soundly defeating this young man’s army. He and his comrades found themselves hastily retreating from the battle field in defeat, running away in fear for their very lives. The enemy gave chase. This young man ran hard and fast, full of fear and desperation, but soon found himself cut off from his comrades in arms. He eventually came upon a rocky ledge containing a cave. Knowing the enemy was close behind, and that he was exhausted from the chase, he chose to hide there. After he crawled into the cave, he fell to his face in the darkness, desperately crying to God to save him and protect him from his enemies. He also made a bargain with God, one which I (and perhaps you too?) have made before. He promised that if God saved him, he would serve Him for the remainder of his days. When he looked up from his despairing plea for help, he saw a spider beginning to weave its web at the entrance of the cave. As he watched the delicate threads being slowly drawn across the mouth of the cave, the young soldier pondered its irony. Soon he did hear the sound of his enemies. One soldier with a gun slowly walked up to the cave’s entrance. As the enemy cautiously moved forward to enter the cave, he came upon the spider’s web, which by now was completely strung across the opening. Years later, this young man, who made good his promise by becoming a preacher and evangelist, wrote about that ordeal. What he observed has stood by me in times of trouble, especially during those times when everything seemed impossible. May we remember this at all times and always take shelter of Supreme Lord and serve Him sincerely. In Srimad Bhagavatam Kunti Maharani prays to Lord Krishna by describing how He saved the Pandavas on the Battlefield of Kurukshetra. In his book “Teachings of Queen Kunti”, Srila Prabhupada says, “All the commanders on the Battlefield of Kurukshetra were maha-rathas. Many of them are mentioned in Bhagavad-Gita. Bhisma, Karna, and Dronacharya were especially great commanders. They were such powerful fighters that although Arjuna was also a maha-ratha, before them he was nothing. But by the grace of Krishna he was able to kill Karna, Bhishma, Dronacharya, and the others and come out victorious. While speaking with Sukadeva Gosvami, Maharaja Parikshit also referred to this. “The Battlefield of Kurukshetra,” he said, “was just like an ocean, and the warriors were like many ferocious aquatic animals. But by the grace of Krishna, my grandfather Arjuna crossed over this ocean very easily.” This is very significant. We may have many enemies who may be very powerful fighters, but if we remain under the protection of Krishna, no one can do us any harm.